LEIGH HENRY BAND IN THE HOUSE! …and the club, the tent, the banquet hall, the barn… any place with four walls … or more… or less… is a great place to play and party! Weddings, private and corporate events… or your favorite venue...we will, we will rock you! Five serious, professional musicians with chops, passion and decades of experience get together to start a band. So when does it stop? When the last song is over and the lights come up! Leigh Henry - vocals, percussion, guitar. Jim Keneally – bass, vocals. Tod Baharian –guitar, vocals. Mike “The Rock” Marble - drums, vocals. Chris Ingram - keyboard. Five guys named “Moe Music”! And sometimes six: Jim Clark - sax. And Wait – There’s More!! WATCH more Leigh Henry Band VIDEOS HERE. To VIEW the Leigh Henry Band SONG LIST, please click HERE. To DOWNLOAD the Leigh Henry Band SONG LIST, please click HERE. 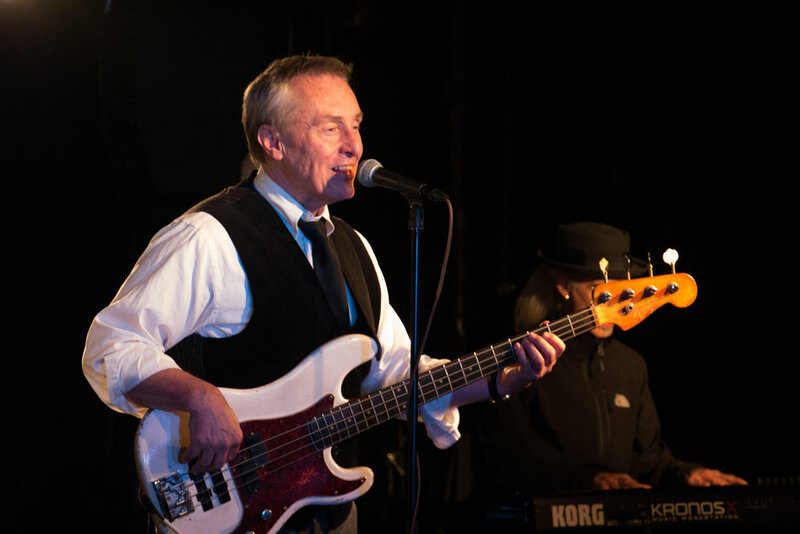 The Leigh Henry Band was an absolutely fantastic addition to our wedding reception! The band was extremely engaging and got everyone, even the non-dancers on their feet throughout the evening! Leigh was extremely easy to work with and was attentive and accommodating both during the planning process and during the reception. Many of our guests said it was the most fun wedding they had ever attended and it was all thanks to the Leigh Henry Band. We had an amazing wedding and have many fond memories of dancing and laughing throughout the night. I would highly recommend the Leigh Henry band, they truly made our special night one to remember!